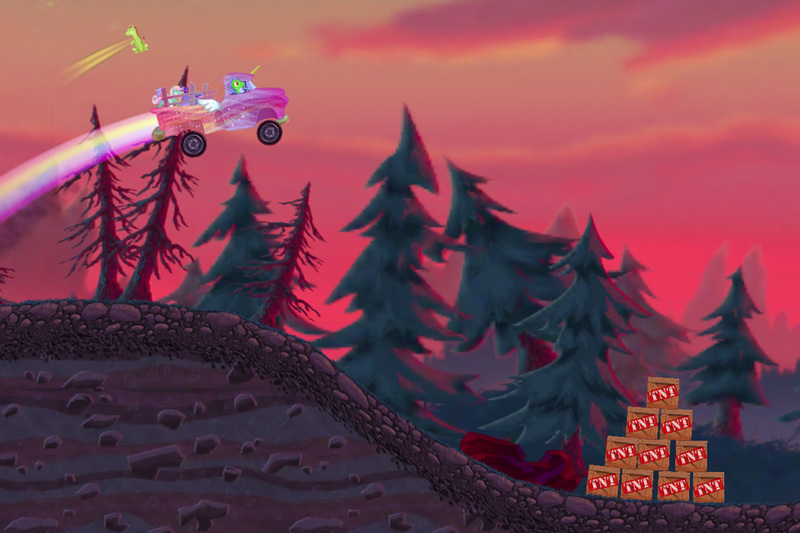 Owlchemy Labs' game about transporting cute animals but secretly about smuggling illegal immigrants is now overtly about My Little Pony: Friendship is Magic. Cautious driving brohoof! 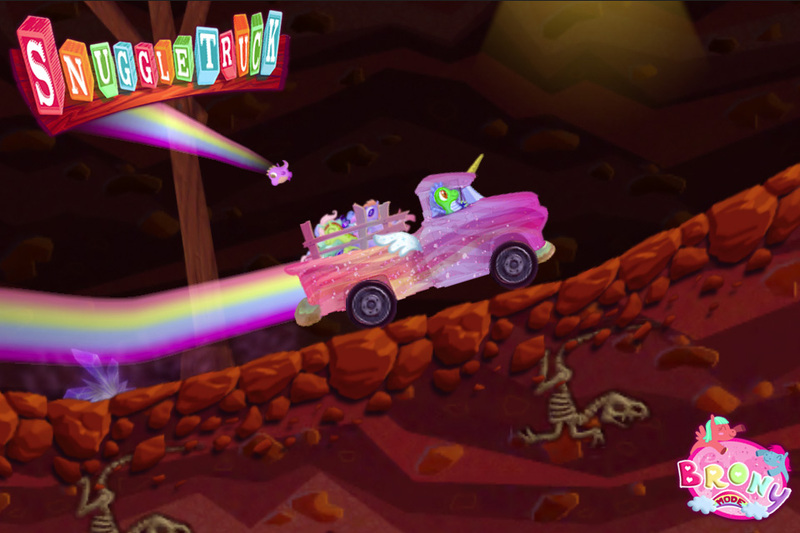 Packed inside Steam copies of Smuggle Truck and available as an in-game purchase in the free iOS version, Brony Mode transforms the cuddly animals of Apple acceptance necessity into the ponies of kindness. 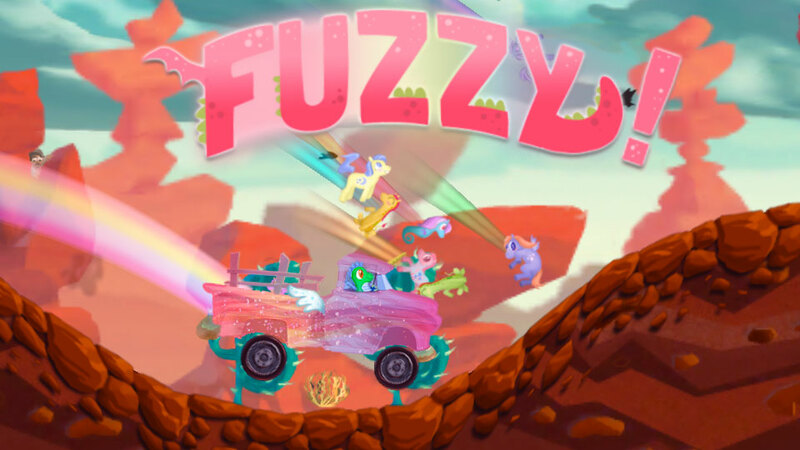 A vaguely Spike-like dragon drives a truckload of colourful ponies to the zoo and beyond, carefully navigating the hills and valleys so as not to spill a single magical mare. Baby dragons soar through the air in a graceful arc, hopefully landing safely in the back of your rainbow-spewing pickup. "We love the brony community." 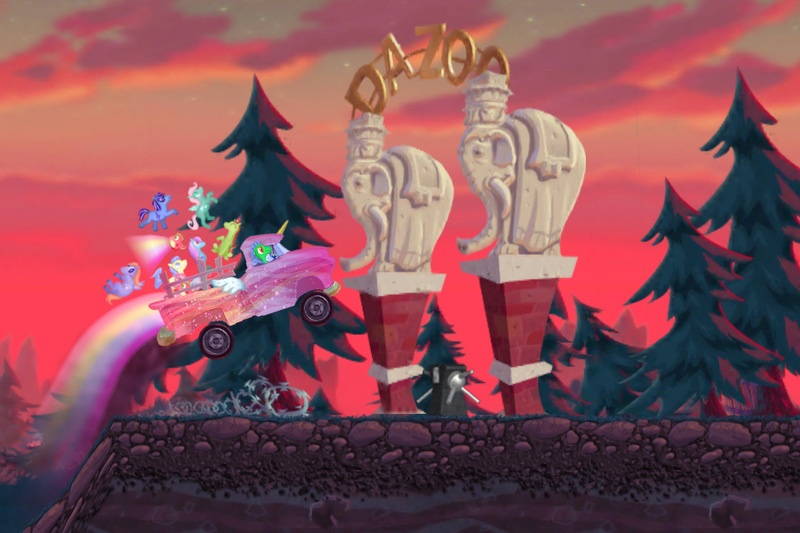 stated Alex Schwartz, Chief Scientist and Fantasy Equine Specialist at Owlchemy Labs via official announcement, "We began design on Brony Mode in response to fan requests, we wanted to make something to give back to the community. 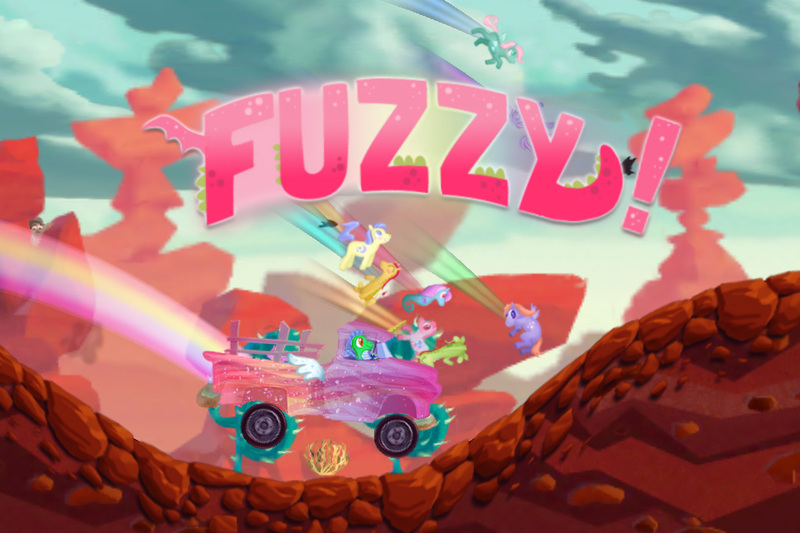 Snuggle Truck's "cuddly-with-a-hint-of-badass" humour lends itself well to the stories and characters of the brony universe." In celebration of the release of Brony mode (as well as Snuggle Truck being the $US2.50 Daily Deal on Steam today), Owlchemy Labs will plant a tree for every 20 copies sold or updates downloaded. You're not a dirty tree hater, are you? 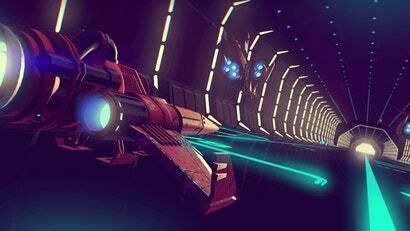 Click that broken link! DO IT! 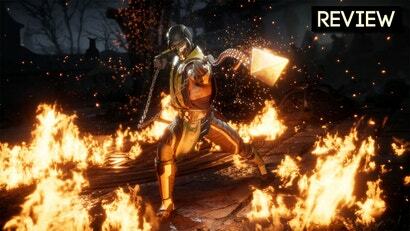 Am I the only one that has a problem with the "Spike-like dragon" being green? Were they so scared of being sued that they couldn't make him purple?